Boring chicken is the worst. 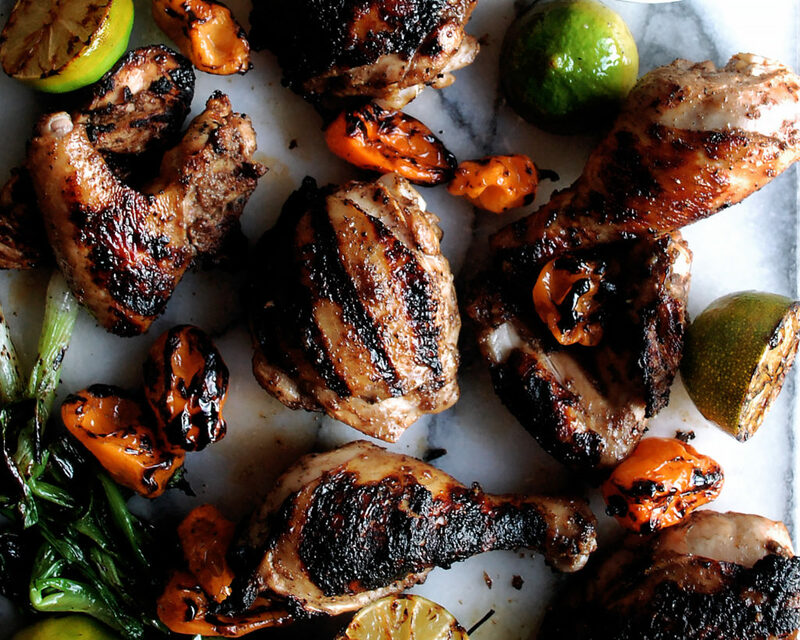 That’s why you absolutely need this juicy, flavorful jerk chicken recipe. 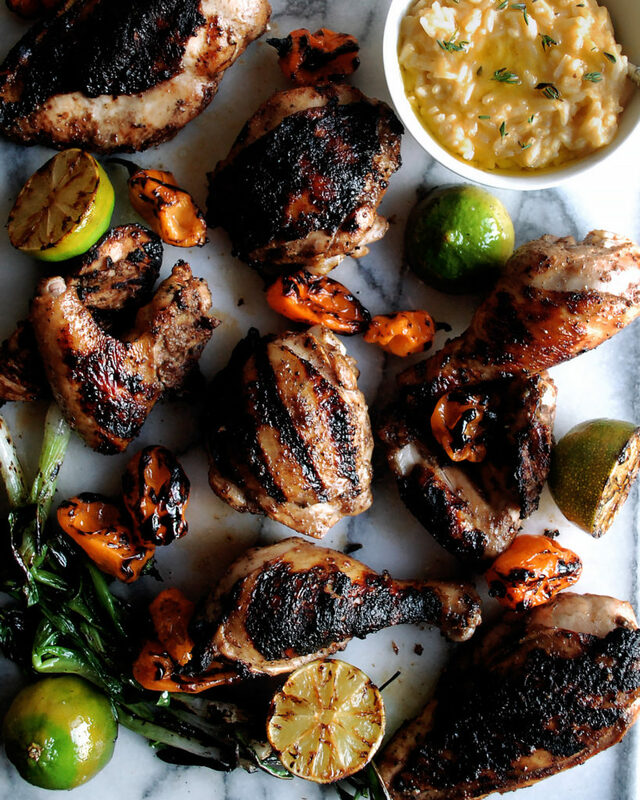 One marinade, one chicken, a little time, and a grill. 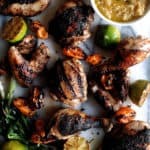 That is all you need to make the very best jerk chicken, and I could not be more excited about it. It’s full of warm spices, fresh thyme, and hot chiles. The marinade comes together in one step and gets tossed with the chicken until it’s fully coated. A little time in the fridge is all it takes to allow the marinade to soak in and create the most tender, juicy piece of grilled chicken I have ever eaten. The necessary accompaniments? Lime juice and a bowl of rice! In a food processor, combine the onion, scallions, habanero pepper, and garlic clove. Pulse until roughly chopped. Add the soy sauce and tamarind paste. While the processor is running, slowly drizzle in the oil. Lastly, add all of the spices and the fresh thyme. Process until incorporated. If you bought a whole chicken, break it down into 8 pieces (2 breasts, 2 wings, 2 thighs, and 2 drumsticks). Pour the marinade into a shallow dish. Add the chicken and gently toss it so that each piece is fully coated with the marinade. Let chill overnight (or at least 4 hours). Heat the grill, high on one side and low on the other. Mark the chicken on the hot side until charred on both sides. Move the chicken to the lower heat, cover the grill, and continue to cook until the chicken is done, about 8 minutes. Be careful not to overcook the chicken. It will dry out. While the chicken is cooking, coat the green onions and limes with a touch of oil. Season them with salt. Grill the green onions and limes until slightly charred and tender. Serve the chicken with the grilled green onions, limes, and a side of rice.